One year has passed since the new leader, Kim Jong-Un (age 30), rose to power in the Democratic People’s Republic of Korea. The alleged “Will of Kim Jong-Il”, Kim’s late father, demanded that the successor mend relations with South Korea, and move to resume the Six-Party talks, with the aim of gaining recognition as a nuclear power. Given these mandates, the last year might be seen as rather unsuccessful. So how can we explain the current developments in North Korea? Kim Jong-Un opened 2012 as an ‘era of prosperity’, promising 23.5 million North Koreans that none of them “will need to tighten their belts again”. To support this claim the government built apartment blocks for 100,000 families, stacked the shops with Chinese-made goods, and launched a satellite into orbit. New economic measures were promised and foreign trade encouraged. New forms of art and entertainment, such as all-female electronic music band, a new roller-coaster, and dolphinarium were pompously introduced in Pyongyang, the show-case capital of the DPRK. 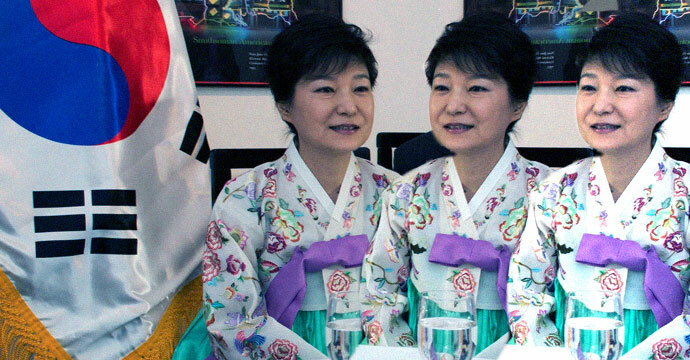 Yet following the short-lived honeymoon with hope, a chain of confounding policy decisions began to take shape: the DPRK-US food-aid and normalisation agreement was thwarted by a provocative rocket launch; the madness of an anti-South Korean smear campaign, actually bolstered the electoral success of conservatives in Seoul; and several of the North’s most conservative top-brass officials were removed from their positions, ostensibly for insubordination. Some suspect that a group of disgruntled officers even attempted to assassinate Kim Jong-Un in November 2012. If the rumours are true and Kim had to join hands with loyal hardliners to save his regime, the political chess match could have played a major role in North Korea’s recent aggressive behaviour, including the ICBM launch and the third nuclear test. Regardless of this potential power struggle, North Korea entered the year 2013 as a-self proclaimed nuclear state equipped with long-range rockets, a growing 3G mobile phone network, and the rapidly improving physical infrastructure. Pyongyang was turning into a mecca for multinational CEOs and sports celebrities. North Korean mines were extracting various natural resources vital for its own use and for export (uranium, rare earth metals, high grade coal and gold). Tens of thousands of North Koreans worked at the Kaesong Industrial Complex, a joint project with South Koreans just north of the De-militarised Zone, producing hi-tech and consumer goods. It was the UN Security Council Resolution № 2087 (issued on 22 January 2013) that suddenly changed the dynamics of North Korea’s development. In punishing Pyongyang for the rocket launch that violated earlier injunctions, the international community demonstrated a rare unity. Even Beijing and Moscow supported the carefully worded text and demanded that Pyongyang freeze its indigenous nuclear and rocket technologies. Kim Jong-Un took personal offence to the resolution and ordered the detonation of a third nuclear bomb in February. Another strong-worded UNCS Resolution № 2094 (dated by 7 March 2013) followed. Kim was inclined to rip up the 1953 Armistice and proclaim war on the US and Republic of Korea. The joint US-ROK military drills, Foal Eagle and Key Resolve, also added fuel to the flames. Pyongyang promised to target American bases not only in South Korea, Okinawa, Guam, and Hawaii but also aimed its strategic rocket forces at the continental US. 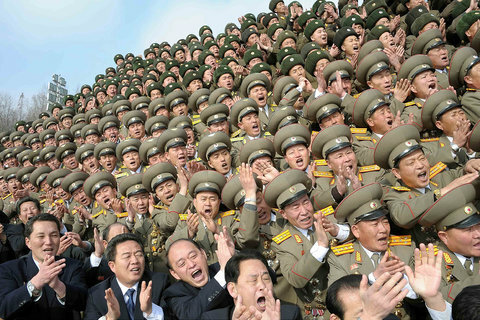 Foreign diplomatic missions in Pyongyang were also informed that their safety would not be guaranteed after 10 April. All North Korean workers were withdrawn from the Kaesong Industrial Complex, the last surviving zone of cooperation between the North and the South. Despite what seems to be a flagrant, masochistic and witless escalation of international tensions, the origins of and rationale for the current North Korean crisis and nuclear standoff are domestic. In order to play down the seasonal spring hunger and with the festivities of Kim Il-Sung’s anniversary fast approaching, the young leader Kim Jong-Un must do something extraordinary. By inculcating ferocious anti-Americanism the regime diverts the people’s attention from an economy in shambles and consolidates them around the Supreme Commander. Kim’s increasingly dubious assurances of prosperity can now be naturally abrogated in light of a “hostile imperialist attitude” and “imminent war”. The near-war situation will also give youthful Kim additional extraordinary powers that will help him overcome his real and imaginary rivals in the succession process. Unfortunately this adds credence to the idea that the purpose of Kim Jong-Un’s succession was to avoid any substantial change in the DPRK due to the fact that change threatens the very existence of the North Korean state. If anything along the lines of that which played out in the Soviet Union, following Gorbachev’s Perestroika and Glasnost, were to happen in North Korea, the leadership would be unable to control the situation. The system would implode under the pressure of economic reform or political change. As the elites in North Korea are equally reluctant of any idea of change, the mood to maintain domestic stability prevails, and with it, the status quo. Leadership succession in North Korea has definitely become a case of ‘like father, like son’. Kim Jong-Un is the legitimate successor and perfect choice to continue the Kim dynasty; he is of revolutionary blood and widely recognised as such. He is eulogised and worshipped as the Supreme Commander by the Korean People’s Army and as the Dear Leader by members of the Korean Workers’ Party. Common people associate him with their expectations of socio-economic improvement and national security, and he is also a token of stability for the elites. If everything goes according to his father’s plan Kim Jong-Un will stay in power for a very long time. 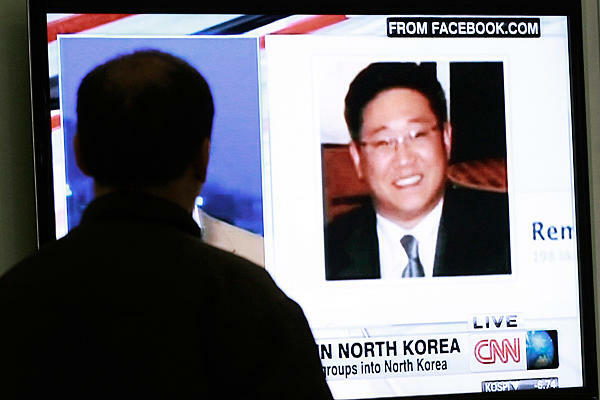 North Korea says US citizen Kenneth Bae was conspiring to overthrow the regime. But analysts say the North is likely to use him as a new bargaining chip. North Korea sentenced a US citizen to 15 years of hard labor today, after finding him guilty of crimes against the state. The move seems yet another in a series of efforts to gain interaction, attention or concessions from the US, some analysts believe. Kenneth Bae was taken into custody in November while leading a legal tour in North Korea, according to the state-run Korean Central News Agency. 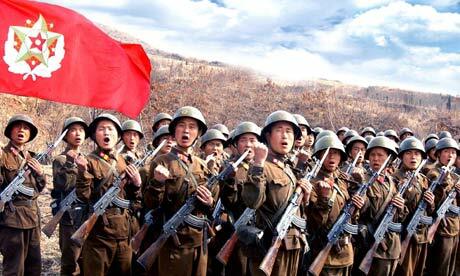 He was tried on April 30, and found guilty of unspecified “hostile acts” against the North Korean state. A number of Americans have been detained and sentenced in the past few years but the 15-year sentence is the longest given to a US citizen there. The country’s young leader Kim Jong-un has taken a number of bold and provocative positions since taking over from his father last year, of which this is the latest. The direction Mr. Kim takes now – and the US response – may start to set a deeper pattern for Kim’s rule and for US-North Korean relations. “The question is whether or not the US will be willing to intervene on behalf of a citizen, given the high tensions, and whether it will kowtow to a repressive state that is known for human rights violations,” says Leonid Petrov, a researcher in Korean studies at Australian National University. Mr. Bae, a tour operator born Pae Jun-ho in South Korea, became a US citizen more than two decades ago and has lived in Washington state. He had reportedly led a number of tours to North Korea previously, without incident. North Korean reports indicated that Bae, who has been described as a devout Christian in Western media reports, was found with some photographs or other materials that North Korean authorities said showed Bae’s desire to overthrow the Kim regime. “In the process of investigation he admitted that he committed crimes aimed to topple the DPRK [the Democratic People’s Republic of Korea] with hostility toward it,” according to the official KCNA news agency. Tensions have been high on the Korean peninsula following North Korea’s third nuclear test on Feb. 12, and two-months of an annual US-South Korea military exercise that ended April 30. Although tensions were expected to cool a bit after the end of the drills, analysts worry the sentence could reignite them. Alternatively, many speculate that North Korea is hoping to use Bae as a bargaining chip to secure aid. Though the US and North have no formal diplomatic ties, the North has indicated it is interested in dialogue with Washington. The impoverished country prone to food shortage, has recently reached out to Mongolia for food aid. The US says it is open to dialogue but on condition North Korea gives up its nuclear ambitions, which Pyongyang sees as a non-starter. Five other US citizens have been detained in North Korea since 2009 and all were eventually released, according to the Associated Press. American journalists Laura Ling and Euna Lee were charged with “hostile acts” after being arrested by North Korean border patrols in 2009 while reporting along the border with China. They were sentenced to 12 years of hard labor, but were pardoned and released after former President Bill Clinton, who is viewed with relative favor in Pyongyang, traveled to North Korea and met with then-leader Kim Jong-il. Staff from the Swedish Embassy in Pyongyang met with Bae on the behalf of the US, but were unable to secure his release. In January, Google executive Eric Schmidt and former governor of New Mexico Bill Richardson reportedly asked to meet with Bae when they traveled to North Korea, though were not permitted to do so. With his Swiss prep-school education and reported Western-style tastes and hobbies, some analysts suggested after Kim took power in January 2011 that he could be the leader to bring North Korea out of isolation, possibly enact China-style economic reforms, and begin to engage the outside world. “He’s very proactive, both politically and economically, and very outward looking. He has given public speeches, which is different from his father. Every month, he brings some kind of surprise,” says Petrov. Though Kim’s style may be different, the substance of North Korea’s leadership has remained the same. The past two months have seen some of the most aggressive rhetoric ever from North Korea, including a threat of a preemptive nuclear strike on the US, though it is not believed to be technically capable of such an attack. Kim’s international antics are doing nothing to bring it closer to making progress in improving North Korea’s woeful economy. If Kim genuinely wants to make progress on its professed goals, he says, the regime has to start looking inward. “It’s time for North Korea to focus on its domestic affairs, particularly on its goals of becoming a state with both strong defense and a strong economy,” says Yang Moo-jin, a professor at the University of North Korean studies in Seoul.